An extremely taste blend of spices and pepper with ALMOST NO SALT. Less than 16% salt! Great for meats, grilled vegetables, squash, baked dishes. You can use it on most any food. * This product ships directly from Alden Mill House. A blend of spices and pepper with a trace of salt to flavor any meat and especially great on vegetables. This unique blend was created for those cutting back on their salt intake, but still looking for fantastic flavor. 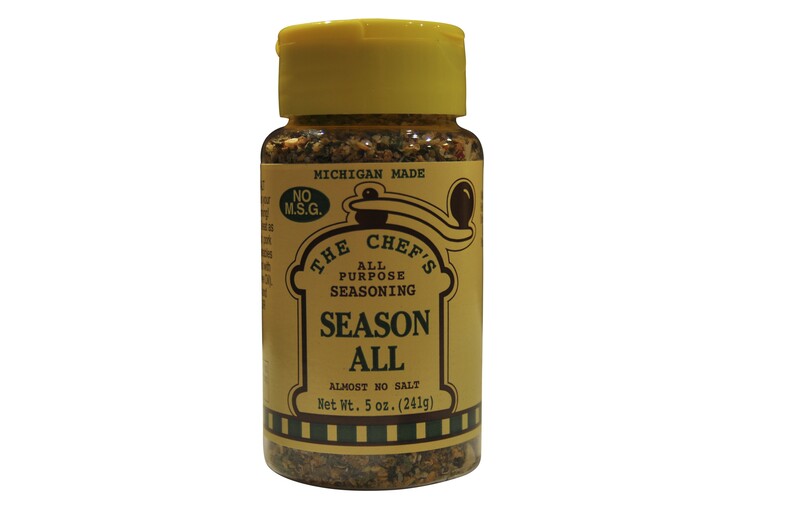 It has so many uses: meat rub, oven roasted vegetables, especially asparagus or squash, fish, pork roast, pasta salads. Because of our high quality of spices, start out using it sparingly and add more to taste. Remember, you can always add more, but you cant take it out.